Julia teaches a wide range of metal clay classes from beginner level to advanced level, Certifications and Diplomas. At beginner level, she teaches half day tasters, one day fun introductions and two day more intensive classes at her teaching studio in Cornwall. To book one of these, visit the CSACJ website. To see where Julia is teaching visit the Calendar page. To arrange for Julia to come and teach a beginners class in your venue or to organise a private class with Julia, visit the contact page. Julia teaches a range of more advanced metal clay classes. 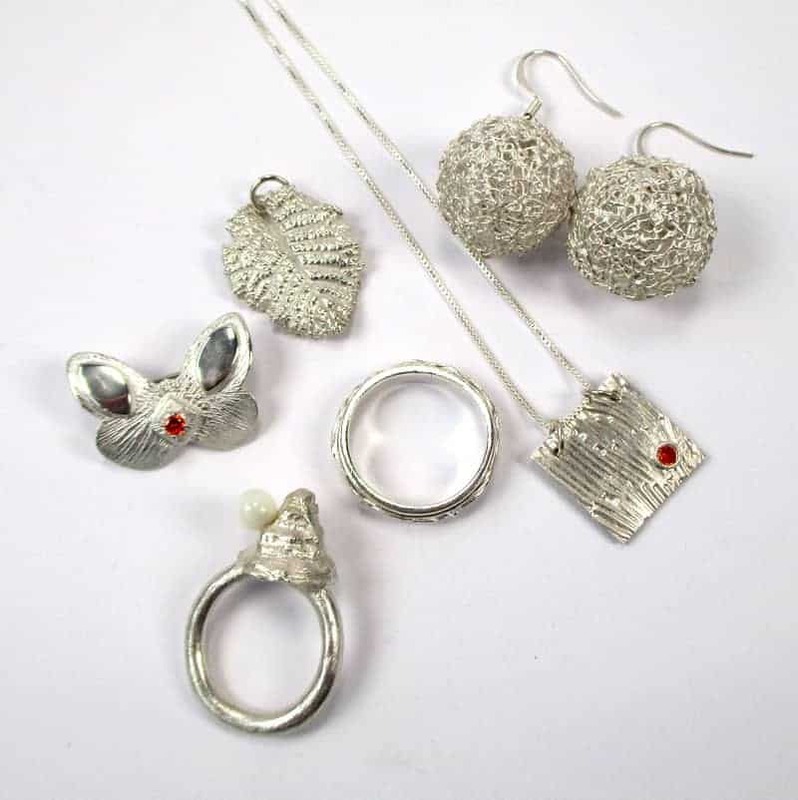 You can have Julia come and teach more advanced level metal clay classes at your venue or come to Cornwall to learn with Julia in her teaching studio. Julia teaches advanced level metal clay students box making, both lidded and open. She teaches a number of ways to add lids including friction fit lids, hinged lids and screw-on lids. 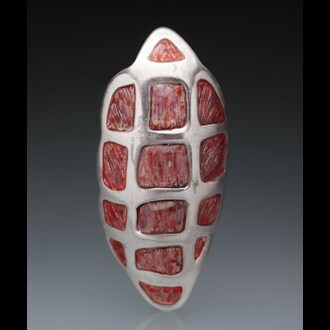 She also teaches hollow forms to intermediate and advanced level metal clay students. 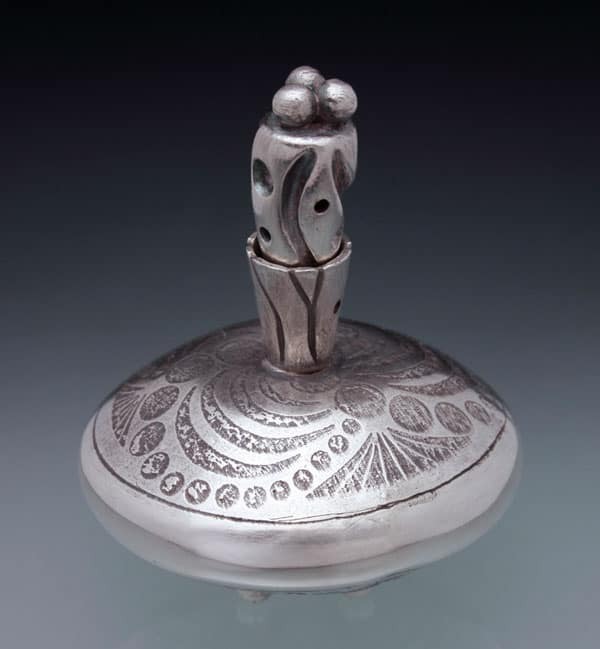 These include bead making, lockets and other hollow forms. Supported and unsupported hollow forms are included. Often students contact Julia to cover a number of things in a private class. This can include full projects from start to finish or a range of techniques with no final objective. Contact Julia to discuss your ideas. She’ll give you an idea of what can be achieved in the time you have. Often with private classes, more ground can be covered so they can be very cost effective. Plus you set the agenda! To book a private, bespoke class, contact Julia or visit her teaching studio website – CSACJ. Julia teaches the new curriculum Art Clay Diploma level 1 and 2 at a number of places around the UK. To find out when Julia is teaching these classes next, please look at the Calendar. To arrange for Julia to come and teach these classes at your venue, please use the Contact page. You can also take the Art Clay Diploma in several ways with Julia at her teaching studio in Cornwall. Level 1 and 2 run several times a year as scheduled classes. Most popular is the private one-to-one classes. On the CSACJ website you can book directly to have a private Level 1 or Level 2 class. Very experienced metal clay users can also take the Level 1 and 2 Diploma classes back-to-back as an intensive six day course. She is a certified Art Clay Senior Instructor authorised by Art Clay World UK to deliver this training. The updated Art Clay Diploma replaced the previous Art Clay Certification in January 2013. At Level 1 students complete six projects during the three day course and must meet the required standards. This is not a beginner level course; you must have worked with silver clay before attending. A Beginners Metal Clay one day class with Julia would be sufficient to prepare you for this course although you will need to have practiced working with the clay at home after the course to be really ready. 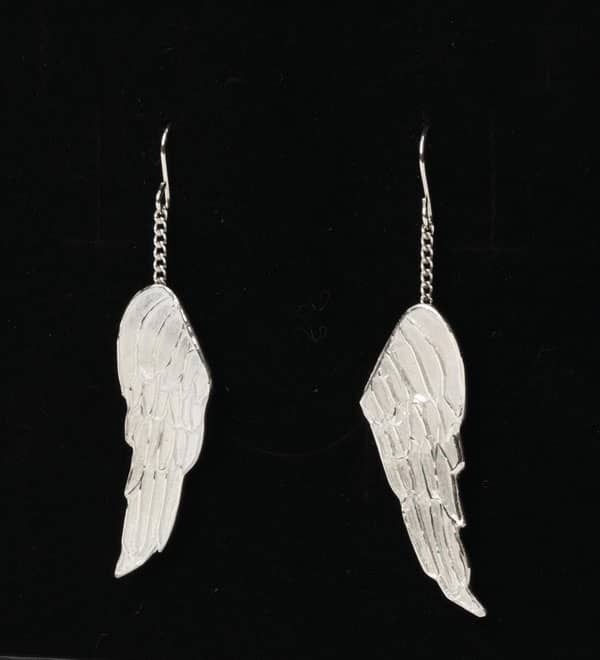 If you have attended a beginners or introductory silver metal clay class somewhere else, this may also be sufficient. If you are in doubt, please call Julia to discuss in more detail. On successful completion of this course, you will be eligible for a 15% discount on Art Clay from the official distributors. On successful completion of this Level, you will be eligible to progress to Art Clay Diploma Level 2. You can take the Level 2 class any time after passing Level 1. 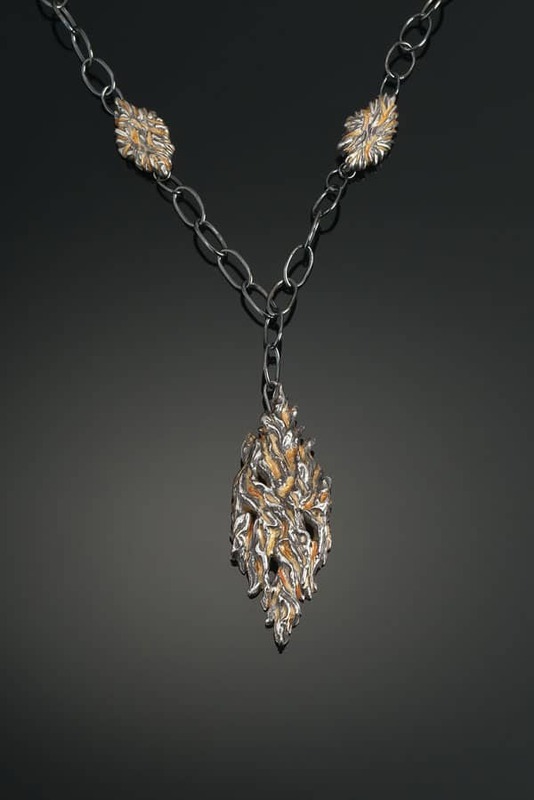 You must be a confident user of silver metal clay. 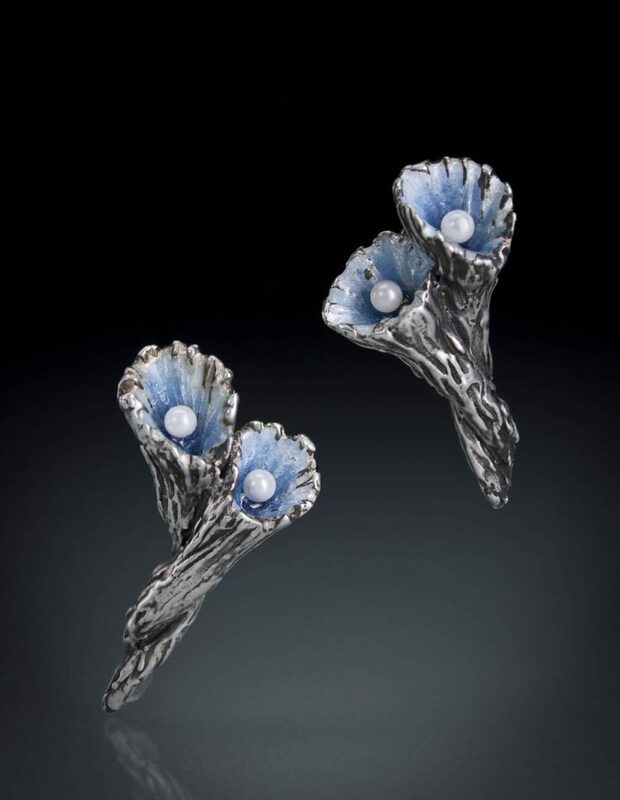 You should have attended an introduction to silver metal clay before you attend this course. Julia Rai is Certified by Art Clay World UK to deliver Art Clay Certification classes. The updated Art Clay Diploma replaced the previous Art Clay Certification in January 2013. At Level 2 students complete four complex projects during the three day course and must meet the required standards. You must have attended and passed the Art Clay Diploma Level 1 before attending this course. If you attained the Level 1 with another instructor, you should bring your Certificate with you. On successful completion of this Level, you will be eligible to progress to the Art Clay Higher Diploma. This level has no classes; you are required to design and make three pieces to set criteria without guidance from a teacher. You will need to wait six months from the date of your Level 1 class before submitting your pieces for the Higher Diploma. The Higher Diploma holder gets 30% discount on Art Clay products and can teach Level 1 and 2 Diploma classes. Much of Julia’s work includes the use of colour so she has put together a range of classes which explore adding colour to metal clay. These range from one day classes to a five day master class. You can engage Julia to run any of these classes at your own venue, either as a private class or for groups of up to eight people. Julia also offers adding colour classes as bespoke private classes at her teaching studio in Cornwall. You can choose what you want to learn in a day or more, one-to-one with Julia. Contact Julia to discuss your requirements. 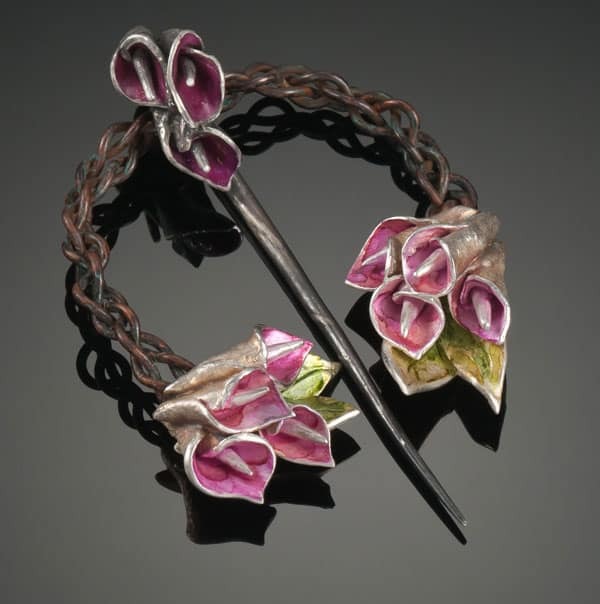 In this five day master class, metal clay artist and teacher Julia Rai will cover a wide variety of ways to add colour to your metal clay work. Closely linked to the Metal Clay Masters Registry Color category, this class will explore both traditional and unusual colouring techniques available to metal clay artists. The primary focus of the master class will be colouring techniques for metal clay and is an advanced level class. It is not suitable for metal clay beginners. On the first morning, you’ll make a set of metal clay samples, some silver, and some copper, which will be used in the experiments to come. No actual finished jewellery items will be made. This class is about experimentation and exploration of colouring techniques. You will leave with a range of samples to inform your own designs. Enameling. 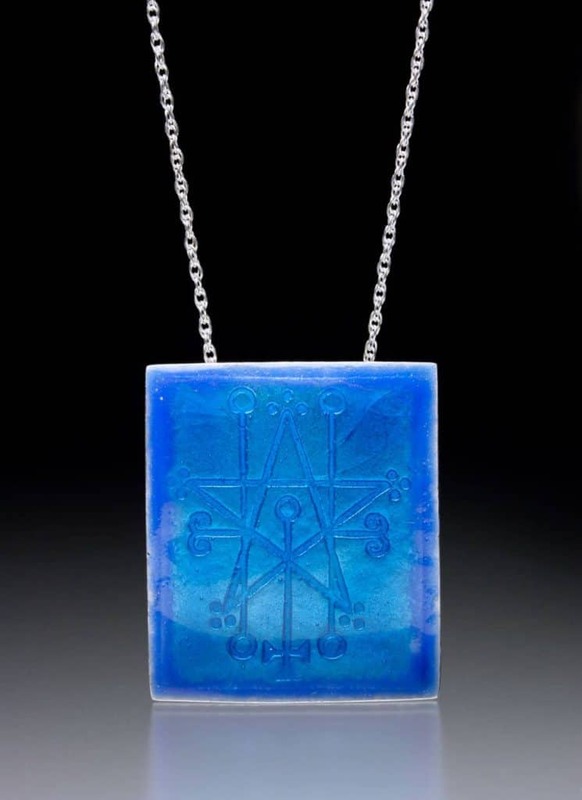 Taking the mystery out of enameling, you’ll learn easy ways to add enamels to your work without the need for a kiln by using a butane torch. We’ll also cover the Basse-taille enamel process which is perfect for textured metal clay work. Resin. We’ll explore ways of adding colour to resin or sealing colour inlays using a clear resin layer. Inks and Paints. 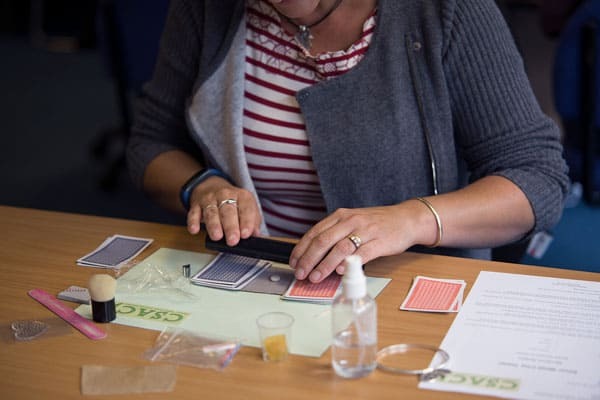 A wide variety of colouring materials will be covered including alcohol ink, acrylic paint, acrylic enamel, Pebeo Vitrail and Pebeo Vitrea 160 glass and metal paints as well as some really unusual and creative colouring materials. You’ll explore adding subtle or vivid colour to your metal clay pieces. Effect Paints. These paints are exciting to use and create some wonderful effects from subtle to unusual. Waxes and Pastes. These colouring media can give your work a subtle or strong colour or be used as accent. We’ll explore the use of these media in several ways. Cold enamel. Easy to use and with a variety of finishes, these ceramic based enamels are fun to use and give subtly different effects from traditional enamels. Dry media. Prismacolor pencils allow you to add subtle colour to your metal clay work. This colouring technique can be worked into textures or applied to the surface of metal clay and sealed for durability. You’ll have the opportunity to use a range of colours on fired metal clay. Keum Boo. Gold foil is added to metal clay using an ancient process called Keum Boo. This is detailed in Celie Fago’s book on the subject. 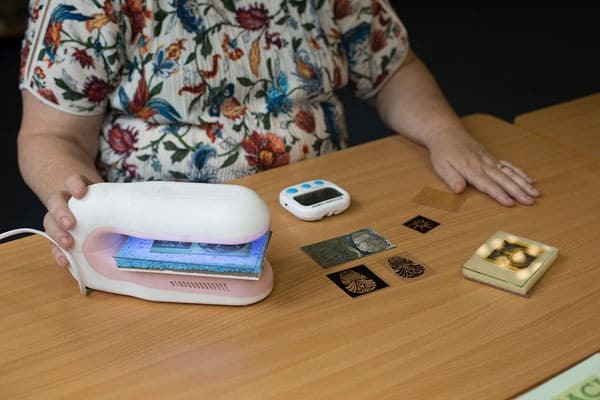 Using a hotplate, you’ll learn how to add the gold foil to your work. Chemical patinas will be explored. We’ll look at Liver of Sulphur and experiment with adding other things to it to achieve deep and iridescent colours. 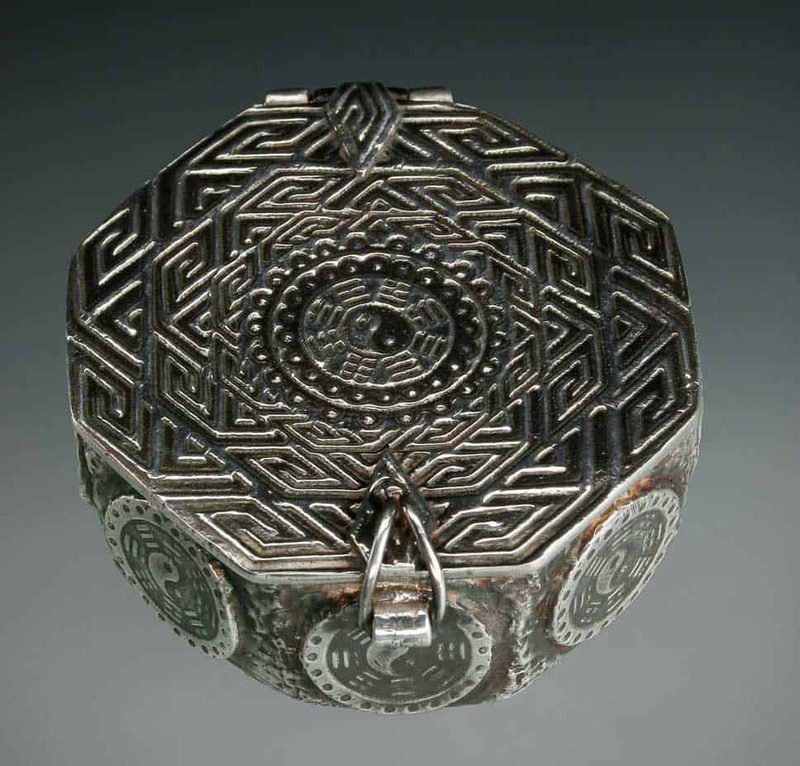 We’ll also look at other chemical ways of adding patina to silver and copper metal clay as well as heat patina methods. Some of these media will be used on metal clay directly and some on silver blanks so you have the chance to experiment before committing to your metal clay pieces. 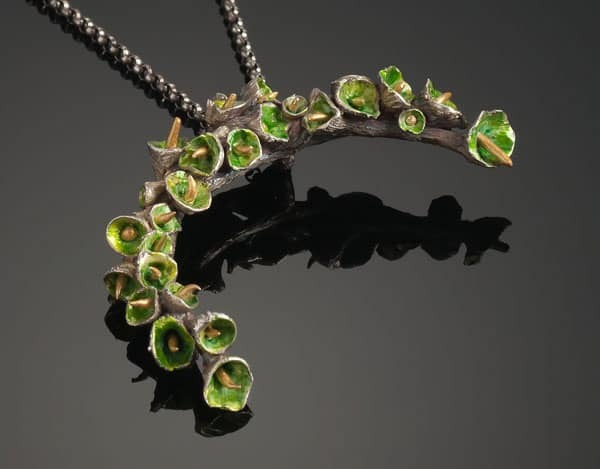 In this two day intermediate level class you will be exploring a wide variety of ways to add colour to your silver metal clay work. Lots of examples will be on display and you’ll have a wide range of colouring resources to experiment with. Using acrylic paint, ceramic and glass paint and alcohol inks, you’ll explore adding subtle or vivid colour to your metal clay pieces. You’ll look at how to seal these where necessary with resin and also explore how to use colour directly with resin. You’ll have the chance to try out waxes, pastes and cold enamel as well as effect paints. Some of these will be used on metal clay directly and some on silver blanks so you have the chance to experiment before committing to your metal clay pieces. Prismacolor pencils allow you to add subtle colour to your metal clay work. You’ll have the opportunity to use a range of colours on fired metal clay. Gold foil is added to metal clay using an ancient process called Keum Boo. This is detailed in Celie Fago’s book on the subject. Using a hotplate, you’ll learn how to add the gold foil to your work. Beautiful colours can be added to your metal clay work using a patina solution like Liver of Sulphur. This can create a range of colours, from a subtle golden tone through to black. In this one day intermediate level class you will be exploring ways to add colour to your silver metal clay work using a variety of inks and paints. Lots of examples will be on display and you’ll have a wide range of inks and paints to experiment with. Students will be expected to make some textured sample pieces in the morning and this must be done quickly so this is not a beginner level class. Students are also encouraged to bring their own pre-fired, unpolished samples to work on. Using acrylic paint, ceramic and glass paint, effect paints and alcohol inks, you’ll explore adding subtle or vivid colour to your metal clay pieces. You’ll look at how to seal these where necessary with resin. Some of these will be used on metal clay directly and some on silver blanks so you have the chance to experiment before committing to your metal clay pieces. 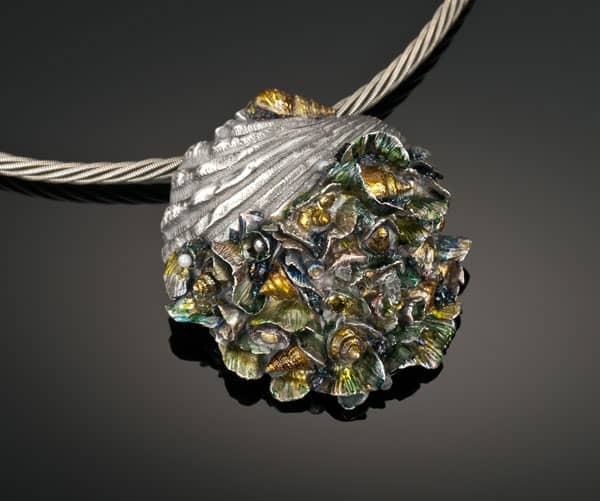 Demystify the enameling process and learn to add colour to your silver metal clay work in this one day class. Enameling allows you to add permanent colour using finely ground glass to your jewellery in a process which has been used for centuries. 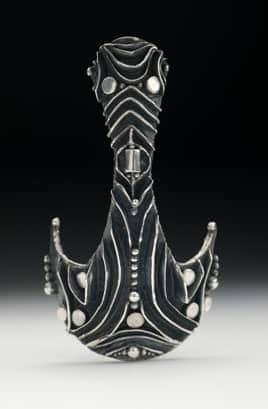 In this beginners level class you will learn basic metal clay techniques, learn to design for enamel and practice simple enameling on fired silver metal clay pieces. 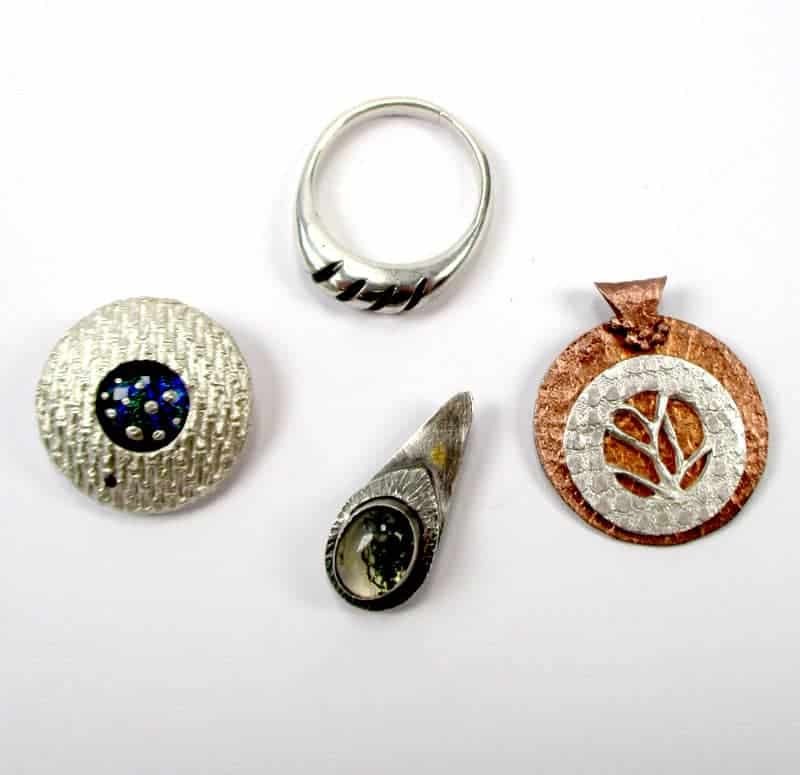 All students will begin by making some simple metal clay jewellery pieces and after they have been fired you will learn how to add colour using enamels with just a butane torch. 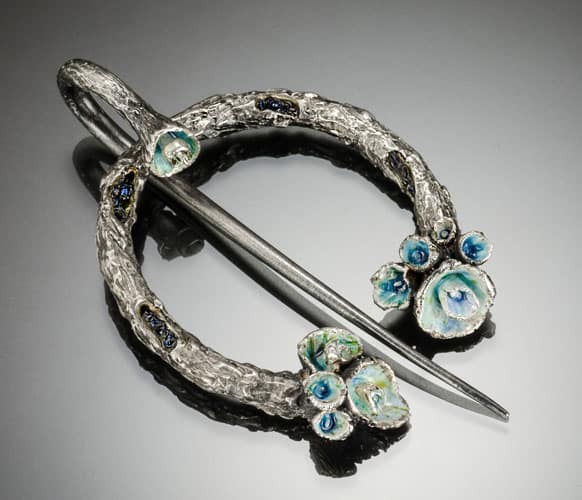 We will cover working safely with enamels, what enamels to buy for guaranteed success and how to design pieces for enamel. Although we’ll be concentrating on making pieces with shallow cells to fill with enamel using the wet packing process, you’ll quickly see the potential for other ways of using enamel in your work. 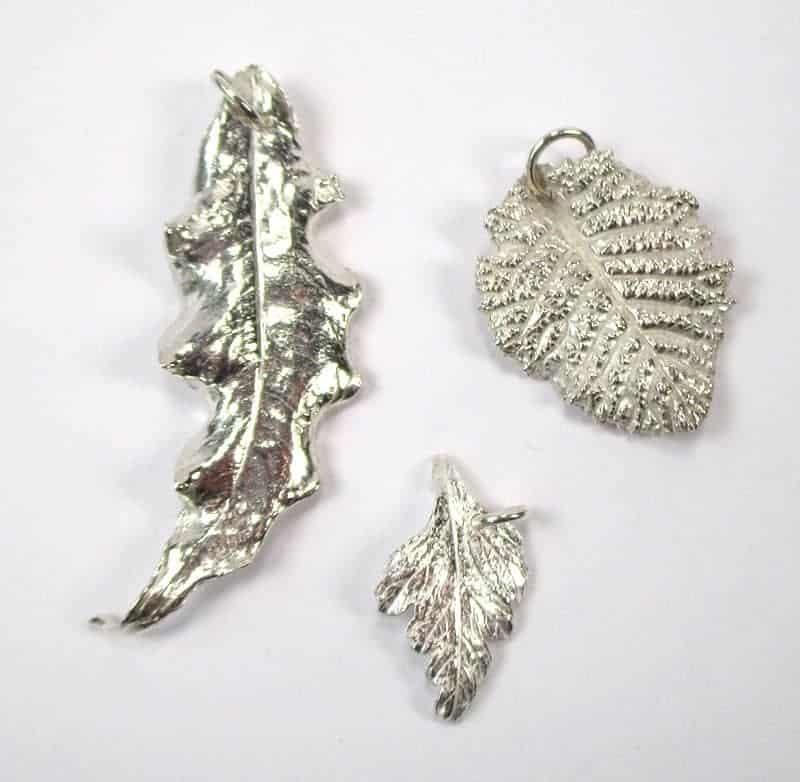 No previous metal clay experience is necessary as this class includes a basic introduction to silver metal clay. Julia teaches a number of techniques for making your own unique textures. The tear away technique, photopolymer plates, carving your own texture plates or working directly into dry metal clay. 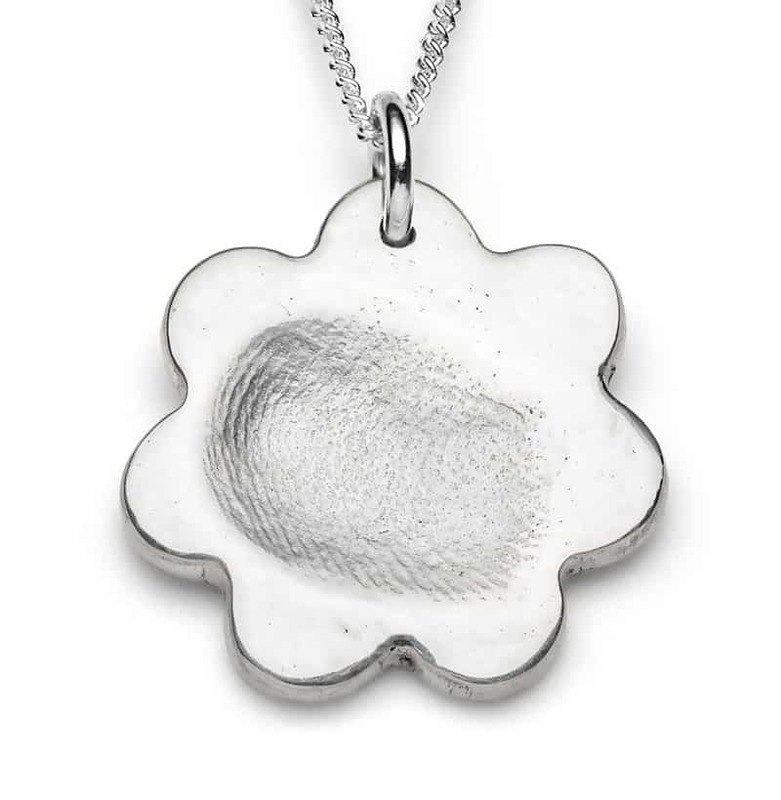 You can also learn how to make hand and foot print jewellery which is very popular as a small business. Julia Rai is available to teach private classes Worldwide. To arrange for Julia to come and teach a private class at your venue, please use the Contact page. Julia also teaches private classes in her own studio in Cornwall, from one day to five day private classes in a wide range of subjects. 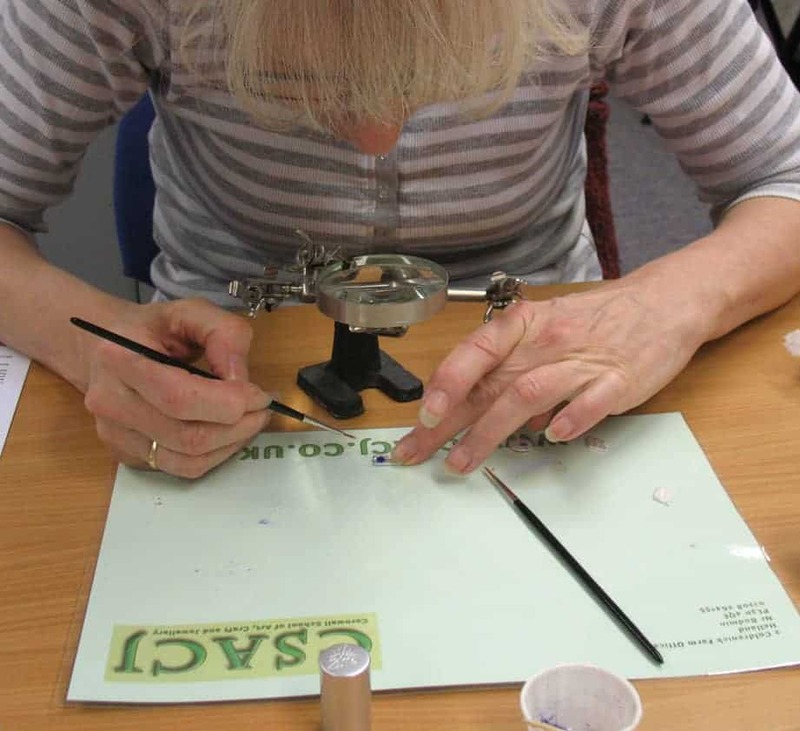 Classes begin at £175 for a one day Adding Colour to Metal, Texture Making or Finger Print Jewellery class. You can also take the Art Clay Diploma Level 1 or Level 2 courses with Julia in Cornwall. All these classes include materials in the cost quoted on the CSACJ website. If you prefer, you can design your own course and combine subjects to suit your level of experience or personal requirements. Private classes begin at £200 per day with materials extra depending on what you want to learn. You are also welcome to bring your own materials. Accommodation can be arranged for you at an extra cost, Julia will even pick you up from the station or airport! Contact Julia to discuss your needs and fast track your skills.